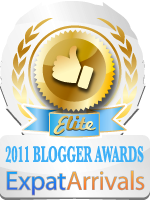 Over the years I've met all kinds of interesting people as the result of my blog. Some people come here just by chance and have a look around and then go on their merry way, others visit regularly. Most visitors come because they have some kind of connection to Libya - they are Libyan that live here or live abroad, married to/engaged to/dating a Libyan, ex-pats who are working here or thinking of working here, relatives of someone living here, etc. One visitor to my blog who's also become my Facebook friend is an American woman named Victoria. I think of Victoria as my Wheelus connection because she came to Libya when her father was working on Wheelus Airforce Base. She's also a writer and has got a blog of her own called Words on My Mind and has written a book about her experiences in Libya titled: An Army Brat in Libya; Memories of Tripoli in the 1950s. A few months ago Victoria and I decided we should have a blog exchange. She'd write a post for my blog and I'd write one for hers. We both wrote about our arrival. Below is Victoria's story, to see mine you will have to visit her blog, Words on My Mind. As a young American teenager in the 1950s, I was fortunate to spend some formative years in a wondrous Middle Eastern world. The unique smells, sounds, and landscape of the area has never lost the magic it held in my heart. I still wear the silver bangle with Libya written in Arabic that I bought there. It was an extraordinary time made more so by my awakening to the world and to the mysteries of blossoming womanhood, a rite of passage from age twelve to age fifteen, though looking backward often adds its own sentimental patina to events. My parents had come through a difficult time in their marriage and were enjoying each other again, and my strict and demanding father left me alone, within reason, to have a splendid time socially. What changes were wrought in my life during that impressionable time, an ideal time to be living in such a unique world! My long wavy hair, which I wore in a ponytail, was cut by an Italian hairdresser and fashioned into a short, curly do, and I discovered I had naturally curly hair. My flat chest experienced its first budding of breasts and along with it came an active interest in boys - American boys, English boys, Italian boys. I heard my first really dirty joke, learned swear words and explicit gestures in Arabic and Italian, got embarrassed by my own farts, and had my first make-out session with a boy who truly knew how to kiss. 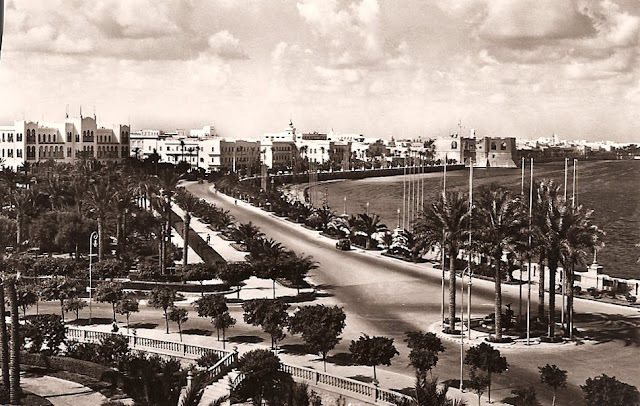 In the middle 1950s Tripoli was a bustling, fairly cosmopolitan city inhabited by Arab (we were taught to call them Libyans), Italian, British, American and an assortment of other European and Middle Eastern nationalities. Both the British and the Americans had military bases, and international oil companies were drilling for the oil that would eventually make the country rich beginning in 1959. Libya, for the first half of the twentieth century under Italian rule, had only gained its independence in 1951, an auspicious occasion marked by the renaming their main thoroughfare: 24 December Street. Like many major events in the life of an Army brat, I wasn't sure I wanted to uproot and travel to such a strange land. I was amazed and a little dismayed when my father received orders to report to North Africa. We were stationed at Ft. Knox, Kentucky, at the time, and Africa couldn't have been more distant from civilization as far as my twelve-year-old mind was concerned. Morocco was our first assigned destination, specifically the peculiarly named Nouasseur. Then, since Morocco was having violent political problems, the orders were changed to Tripoli - Wheelus Air Force Base. My Army Corps of Engineers father would command a military group that had something to do with maintaining that strategic airfield, the closest, large American location to Russia, an important fact in those Cold War days. He would also be traveling to mysterious places such as Addis Ababa, Ethiopia, and Saudi Arabia. Our little family, which included Darby, my two-year-old brother and Tupper, my six-year-old sister, boarded a military prop plane at Maguire Air Force Base in New Jersey the week before Thanksgiving 1955. We left a snowy landscape and headed southeast over the Atlantic, our circuitous flight path leading us first to the tiny Azores Islands. Propeller-driven planes, not as efficient as jets, required refueling stops. We landed on the islands about 3 a.m. Azores time, were roused from sleep, and dependents and military personnel were herded off the plane and onto waiting buses for a trip up a windy mountain road for breakfast in a non-commissioned officers club. A couple of hours later we were jammed back aboard, but mechanical difficulties kept us on the ground several more hours. Then it was on to Nouasseur Air Force Base in Morocco for another stop before landing at Wheelus Air Force Base, east of Tripoli. Military planes, whether carrying troops or dependents, weren't on fixed schedules. You landed when you landed. What seemed like days but was more than likely some thirty hours later, we reached our new home. It was 9 p.m. in Tripoli, but after so much time and so many time zones, who could tell. No snow on the ground here: the weather was temperate and probably no colder than 55 degrees. Only after a good night's sleep would we regain our land legs and clarity of hearing - the noise and vibration of prop planes had a habit of disorienting the body, which included sight and hearing, for hours. An officer from my father's new command met us at Wheelus Air Base and drove us the eight miles into town to our temporary quarters - the Albergo Del Mahari, a hotel that definitely marked our passage into an Arab country. The flat roof of the white stucco hotel was highlighted in front with a dome situated upon two pentagon-shaped, windowed bays. Just under the dome was a high bay accented with a multi-paned, oval window on each of its five sides; under it was a flatter and wider bay with opaque, rectangular glass-block windows on each section. Its unusual design, to which I would soon become accustomed, reminded me of a tiered wedding cake. Tired and disheveled, we were led under a portico and through the hotel's glass double doors into a spacious marble-tiled lobby. Each side of the five-sided lobby faced a different courtyard; the center of each courtyard contained either a fountain or a small, rectangular pool. Vines covered the courtyard walls; small trees, many of them poinsettias, dotted the space and surrounded several benches. Our tiny suite of rooms was reached across a courtyard with a fountain, and our suite faced the courtyard garden. It was like an enchanting scene from Arabian Nights - the mosaic designs, the unfamiliar, musky fragrance of the air. My excitement turned to apprehension as I surveyed the tiny bedroom my sister and I would share: two narrow single beds covered by dark red-striped bedspreads. The strange surroundings almost overwhelmed me. I felt disoriented and fearful - gone were the familiar touchstones of stateside life. And it all smelled so odd. I couldn't wait until we had our own place and were surrounded by our own furniture. Our private bathroom changed my mood. The very deep rectangular tub was unusual, even ludicrous to American eyes. The tub was designed as a seat; when the bather was seated, the tub would hold enough water to reach our armpits. There was no stretching out in this oddity. Prominently hung on the wall was a urinal, with no sign of a regular toilet. Obviously, a man's convenience was more important in this Middle Eastern palace. Giggling at the incongruity, the two of us found we couldn't even improvise; it was too high to fit our private plumbing. We'd have to find a normal toilet to use. The weather is lovely during the day so we've been opening up the windows and doors. 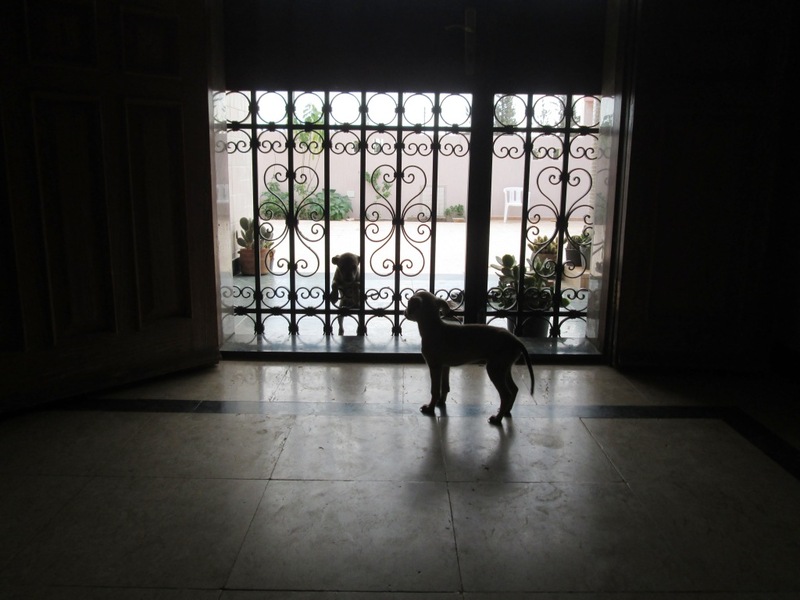 The iron gate on the front door does nothing to keep the puppies out. They keep coming in, trying to see what we are doing. Curious little things... Shoo! Shoo! Tick Tock Says the Clock! Hmmm... you always hear the phrase 'the village idiot'. It's always singular, never plural.... except in Libya - it's definitively plural here. Daylight savings time has been implemented this year in Libya. We haven't had a time change here for years. The whole idea seems to confuse everyone, but I'm happy to wake up in the morning as the sun rises. Breakfast on the front porch with a glorious sunrise - what a wonderful way to start the day! Yesterday's sunrise - the view on our farm. I was on my way to pick up the kids from school which means it was high traffic time. The roads were really congested but cars were moving, albeit slowly. I made it round a round-about and onto the road and all of a sudden - BAM! There was a big crunching noise. Someone had hit my left rear bumper. Then the car swerved off the side of the road into a dirt road in an attempt to escape. But the dirt road ended in a dead end - trapped with nowhere to go. At this point I noticed that it was a female driving the car. She tried to back up and then went a bit forward, opened the door and got out of the car but the car kept going - she hadn't put the car in park! She managed to get in the car and stop it and then got back out. She took out her mobile and placed a call and then started walking quickly towards the road where I had parked. I got out of my car and checked for damage. Luckily there was only a thick scratch. I turned to speak with the girl but she kept walking, ignoring me and trying to pretend that nothing at all had happened! She crossed the road and by this time I was shouting at her to stop running away. People in the road were watching so she finally gave in and turned around and came over to me. I asked her why she was trying to run away and she started shouting at me, "I had my blinker on and you hit me!" I told her "Look sister, I was in front of you. You've hit me in the rear." "No! No! I had my blinker on - you hit me!" she insisted. I pointed at the scratch and asked "Sister, how could I possibly hit you with the rear of my car when we were both going forward? I didn't back into you you. And why were you trying to escape? When you are involved in an accident you are supposed to stop - it is required by law. What if I had been injured?" Of course she had no answer to that. So I continued "Thank God no one has been hurt and there is only minimal damage to my car." She wasn't at all worried about her own car - she had never even bothered to look at it when she had got out. There was no point in wasting any more of my time on this girl. I extended my hand and she looked down at it and then reluctantly put her hand out to shake mine. "Asalamualaikum sister. Have a nice day" I told her. Then I got in my car and went on my way.